Life is Feudal: MMO is all about starting with nothing, and building up your world, with a little help, to something flourishing. In today's new Life is Feudal: MMO trailer, developer Bitbox shows how players start out as lowly peasants who gradually work their way up to proud owners of their own forest hut. As peasants begin to band together, they can construct a fortress, a place for players to create a fledgling medieval society, taking on various jobs in their newly founded kingdom as they enjoy the peace and comfort of a fully constructed castle. While players may start their adventures alone, as they gather and craft supplies needed to make it to the next day, they will quickly meet up with others to form groups, then guilds, and finally work their way up to complete medieval societies and nation-states. Life is Feudal: MMO is a realistic social experience, where the best way to thrive in the world is to work together and build a fully functioning society, where everyone has a place, from the most basic hunters and gatherers, to farmers, soldiers and civic leaders. 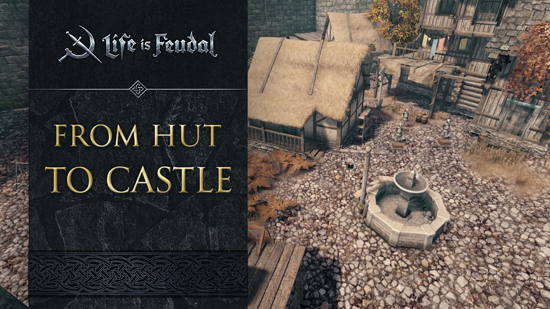 There's a place for everyone in Life is Feudal: MMO, and a world ready for them to explore!